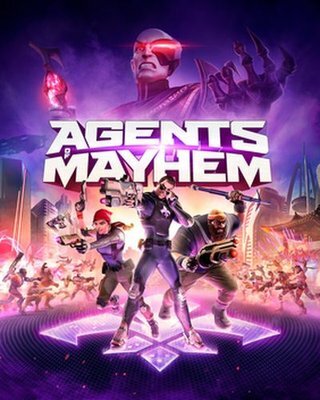 Agents of Mayhem is Deep Silver Volition’s new IP! This brand new game is their take on the recent comic book and superhero phenomenon, and the revival of the Saturday morning cartoon. The developers of the highly acclaimed and hugely successful Saints Row series have taken it to the next level once again, and created their own comic hero universe. Recruited from around the world, a group of unique and diverse Super Agents are set loose on the city of Seoul to save it from the destructive schemes of the evil supervillain organization LEGION (League of Evil Gentlemen Intent on Obliterating Nations).